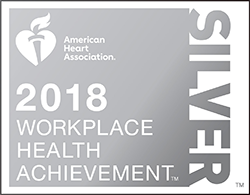 The AHA created the Index with its CEO Roundtable members, a leadership collaborative of more than 40 CEOs from some of America’s largest companies, who are committed to applying evidence-based approaches to improve employees’ overall health. The Index uses science-based best practices to evaluate the overall quality and comprehensiveness of workplace health programs. More than 1,000 companies completed the Index assessment this year and, of those companies, 75 percent received either Gold, Silver, or Bronze recognition. Participating companies receive benchmarking reports, allowing them to identify potential areas of improvement so they can help their workforce move toward ideal heart health. To learn more about the Index, click here. To learn more about Devereux Advanced Behavioral Health, click here.